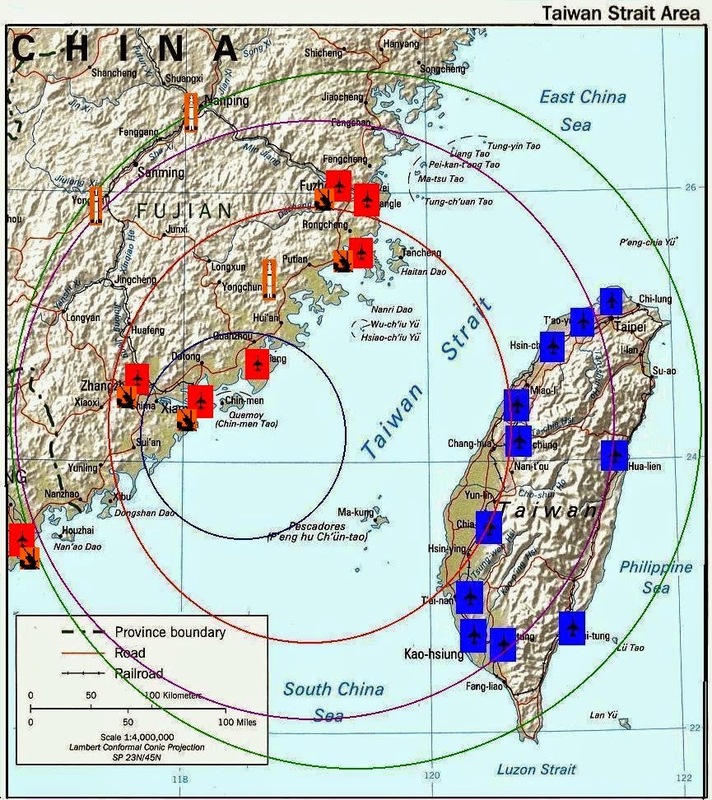 Prepared for a government agency, the China-Taiwan Air Power Monitor provides an overview of the air and missile bases located within the China-Taiwan theater. Selected air and missile base icons on the map are hyperlinked to profile pages with general descriptions, locations, and photos and maps (if available). The information was current at the time of the preparation of the report in 2002. Various sources I used include the CIA World Factbook, the Federation of American Scientists, Global Defense Information, Jane's Strategic Weapon Systems, and Periscope News Service. I used several programs to create the final product, primarily Dreamweaver, but I also created supporting design elements in MS Paint and MS Publisher. Associated with this project, I also researched and prepared the China-Taiwan Conflict Chronology which details the major military and political activities between the Communist Chinese (the People's Republic of China or PRC) and the Taiwanese Nationalist Chinese (the Republic of China or ROC) governments since the end of World War II through 2003 – particularly those incidents that have led to the current situation in the Taiwan Strait area. Click on the image below to visit the interactive map.